The NW Injury Law Center was created by trial attorney Don Jacobs so injured consumers could choose a law firm that devotes all of its resources to helping injury victims. The firm’s only focus is the representation of injured consumers. Every individual who works at the firm is highly trained and very knowledgeable about personal injury and insurance law. The firm uses a team approach to make sure every client receives excellent service and the maximum recovery on their claim. Mr. Jacobs, the firm’s trial attorney, has litigated cases against negligent drivers, insurance companies, manufacturers, corporations, and government entities for over thirty years. Since 1979, he has helped thousands of injured consumers obtain fair compensation for their injuries. 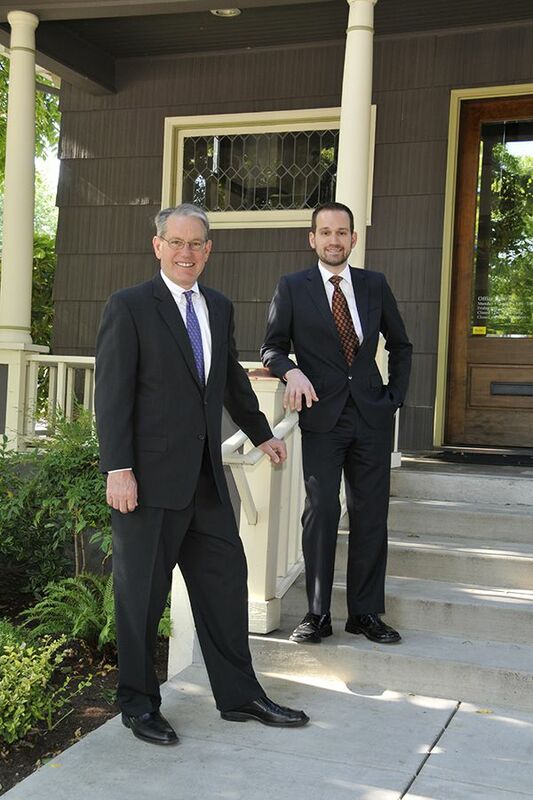 Mr. Jacobs is licensed in both Oregon and Washington and admitted in state and federal court. He has served on the governing body of the Washington State Trial Lawyers Association and was elected to the Oregon Trial Lawyers Association governing board in 2000. He has won awards from both organizations. The law firm’s motto is “Straight Answers, Winning Results”. The firm lives up to this motto by having friendly, highly competent employees who do their best to give each client the type of service they would expect for their own friends and families. The firm also employs the best legal investigators in the area and employs specialized medical personnel to accompany clients to insurance medical examinations to make sure their rights are protected. Why hire the NW Injury Law Center to handle your injury claim? One thing insurance companies don’t like is people with knowledge. They would rather have injury victims confused and uncertain of their rights. State insurance law can be complex. It also has the nasty habit of changing every time the legislature is in session. New insurance regulations often affect consumer rights on what is recoverable. State tort and negligence laws also change frequently as judges create new rulings. To handle a claim effectively and recover the maximum benefit, an advocate must keep abreast of these changes. One of the most valuable things we offer at NW Injury Law Center is a specialized knowledge of injury law. We have been helping injured consumers in the Portland/Vancouver area for over thirty years. Our people ensure you don’t make decisions based on faulty or incomplete information. We know the law and know exactly what the insurance company’s responsibilities are towards you. As much as the public relations and advertising wants you to believe you are in “Good Hands” or are being treated like a “Good Neighbor”, an insurance company’s obligation by law and contract is to protect their driver against possible suit. In fact, state insurance law requires they give their total allegiance to their driver, not you. They are required to do everything within their power to protect their driver and lessen any damages he or she may be responsible for because of negligence. All of their interactions with you are controlled by this overriding responsibility. Because of this, dealing with an insurance carrier is by its very nature an adversarial situation. It almost always involves some confrontation. In order to be successful in this game, you have to have the knowledge and skills to joust with people who handle claims on a daily basis. Common sense dictates you should not go into this situation blindly. Make sure you have competent legal advice before you try to negotiate any aspect of your claim with an insurance company. Hiring the NW Injury Law Center not only levels the playing field, it gives you an edge that can substantially increase the value of your claim. Get a comparable rental car, don’t settle for a sub-compact! Get your car repaired at the shop of your choice! By handling harassing phone calls and negotiations with insurance adjusters! Find qualified doctors to treat your injuries, even if you have no insurance! Get all of your lost wages paid and compensation for any loss in your ability to make a living in the future! Get everything you deserve for your pain and suffering! By handling all the hassles, all the headaches and all the paperwork! Automobile Accidents: We help people injured in auto accidents all over Washington and Oregon. Construction Site Accidents: We help people injured in construction and work site accidents. Defective and Harmful Products: We help people harmed by dangerous and poorly designed or manufactured products.